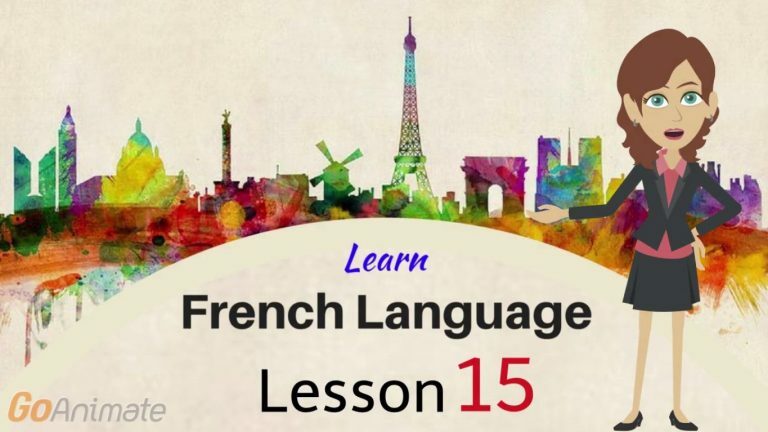 Watch Your Way To Learning French–Part 15! Author AlbertPublished on 28 March 2018 13 April 2019 Leave a comment on Watch Your Way To Learning French–Part 15! Wouldn’t it be nice if you could tell someone, in French, that you were going to be a little late, because you will meet them only after work? Watch the following video, and make your excuses. Complete the exercise and write your answers in the comment section below. Exercise: Read the English translation and choose the corresponding French sentence. 1-Can I ask you what time is the meeting? a) Oui, car on va discuter le sujet dont on s’est parlé hier. b) Puis-je te demander quelle heure on a le meeting? 3- I believe you have to arrive at 02:00 P.M.
a) Je vais arriver un peu en retard. b) Je crois que tu doives arriver à 14 h.
4- Is it necessary to come? a) Je crois que tu doives arriver à 14 h.
5- Yes, because we are going to discuss the subject which, we talked about with each other yesterday. a) Je vais arriver un peu en retard après mon travail, vers 14.30.
b) Oui, car on va discuter le sujet dont on s’est parlé hier. 6- I am going to arrive a little late after my work, towards 02:30. Published on 28 March 2018 13 April 2019 Categories Learn FrenchTags Basic French words, French conversation, French courses, French language, French lessons online, French vocabulary, Learn French Albert learning, Learn French online, online French coursesLeave a comment on Watch Your Way To Learning French–Part 15! Watch Your Way To Learning French–Part 14! Author AlbertPublished on 19 March 2018 13 April 2019 Leave a comment on Watch Your Way To Learning French–Part 14! Watch this video to learn some basic conversation starters for when you meet someone for the first time. Complete this exercise and write your answers in the comment section below. Exercise: Choose the correct translation for the word highlighted in bold. 1- Hey Sera, c'est mon père, Samuel. 2- Oui! Nous devons entrer dans la dernière porte. 3- Et voici ma fille Anne. 4- Ravi de vous rencontrer aussi! 5- Regardez, c’estlà! Allez, vite! 6- Regardez, c’est là! Allez, vite! 8- Bonjour Anne, je suis heureuse de vous voir. 9-Nous allons regarder le film, ‘rien n'est le même’. 10-Oui! Nous devons entrer dans la dernière porte. Published on 19 March 2018 13 April 2019 Categories Learn FrenchTags Basic French words, French conversation, French courses, French language, French lessons online, French vocabulary, Learn French Albert learning, Learn French online, online French coursesLeave a comment on Watch Your Way To Learning French–Part 14!